1. What/where will I be painting? 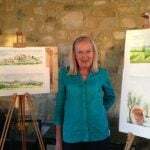 On your painting holiday you will recreate the dramatic landscapes of Tuscany, Sicily, and Venice using watercolours, pastels and charcoal. On your day trips, you will also get inspired by local architecture and artwork and get the chance to sketch historic sights and buildings. 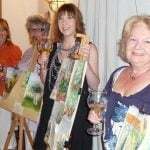 At the end of your painting holiday you will have the opportunity to present your work to your fellow artists while indulging in good conversation and authentic Italian food and wine. 2. Do I have to bring my own material? Generally most guests joining us on a painting holiday already have their own materials and prefer to use them. If not, our tutor can give you a list of painting materials that you would need for the holiday. We provide easels, stools and board. 3. What level do I have to be at? Guests on our painting holidays in Italy arrive with different abilities which means that you don’t have to be at a certain level. Our inspiring painting teachers will ensure that your individual needs, abilities and learning expectations are met by demonstrating and developing with you appropriate painting techniques.